I love strong heroines. They are like the drug (a proper play on words in my opinion), addicting, exhilarating, unpredictable, and surrounded by an endless array of drama because most of the time the characters are placed in a setting in which their disposition is seen as a abnormality that will destroy the entire ordered foundation of said setting. Sheng Ming Lan, the female protagonist, doesn’t disappoint in being a perfect example of a strong female, and the credit in the portrayal of the growth of a character so complex is given first to the author of the novel this show is based off of, then the creators of this show for translating an internet novel character into a live action persona, and last but never least, to the beautiful actress Zhao LiYing who I became obsessed with after The Legend of Chusen. To those interested in watching this show but not intending to read through most of my review which will contain spoilers and a little too many words because I have too many opinions after 80 episodes of laughter, sobbing, flirting, murderous intentions, swooning, yelling, and the occasional smirk from Mr. Feng ShaoFeng himself, I will try to give you an idea of this show in a short paragraph. This show might start off a bit slow, but it’s like watching humans grow into the responsibilities of adult life, some younger than others. This show, to me, is greater than the explosions of cars or one-week romances of protagonists. The Story of Ming Lan is a web weaved of expertly formed subtleties that show you an accurate portrayal of gender roles in ancient china, political upheavals and ingenuities, sincerity versus politeness, and no matter how cheesy it is, staying true to one’s self. 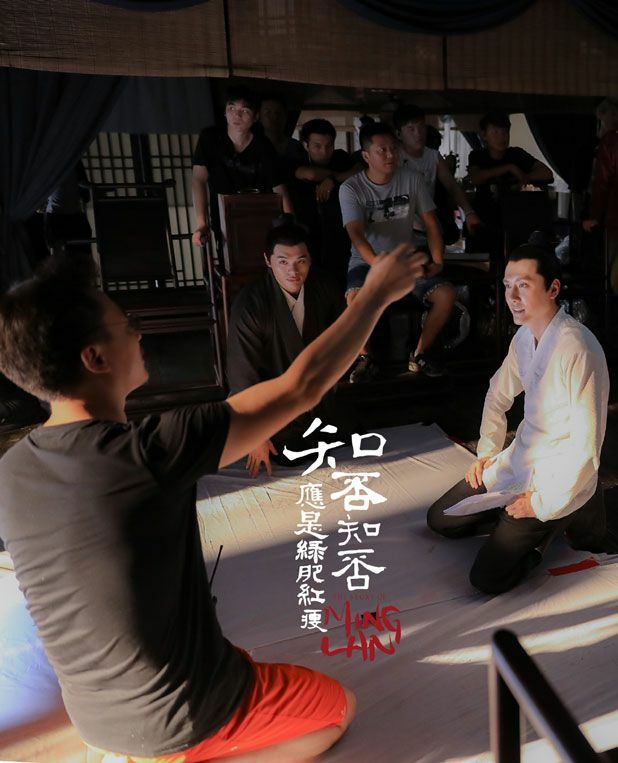 Even those not interested in the historical aspects of shows will appreciate the effort of every crew member in reflecting the sophistication and gruesome reality of the Northern Song Dynasty. I recommend this drama to anyone of any age as you will find some small part of it relatable. The show isn’t perfect, as I will go through what I find lacking or amazing, but it’s heartfelt. And to me, that is the most important value of any show I watch. Sheng Ming Lan is the sixth child, hence her nickname Little Six, of Sheng Hong, a lower level government official who is part of the noble class. The story begins when Ming Lan is eight years of age who is living in a small room with her mother who is a concubine of Sheng Hong. You will learn throughout this story that in ancient China, men having multiple wives is a very common practice, especially for the wealthy men. Ming Lan is a pretty outspoken child at this age, pretty rare for a female of any age during that time. She is bold enough to complain to her father of the lack of coal for her mother during the cold. She also challenges a twelve year old Gu Ting Ye to a game of throwing arrows into little holes for a certain amount of points. 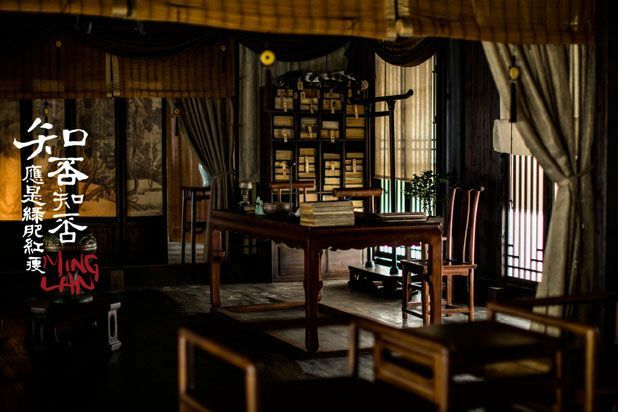 Her mother is the opposite, jaded by her impoverished upbringing, Ming Lan’s mother considers herself lucky if her husband visits to share tea. Ming Lan’s father has his favorite concubine, Lin QinShuang, the mother to Ming Lan’s second brother and fourth sister. With the favoring of his concubine, Sheng Hong’s main wife, Ming Lan’s big mother, is disregarded by most of the house servants and slaves. Lin QinShuang, knowing that Ming Lan’s pregnant mother could have a son who could rival that of her own son, so she indirectly causes the death of Ming Lan’s mother. Ming Lan never forgets this, and as she gets older, her understanding of the unfortunate situation becomes her a burning fire beneath her feet. 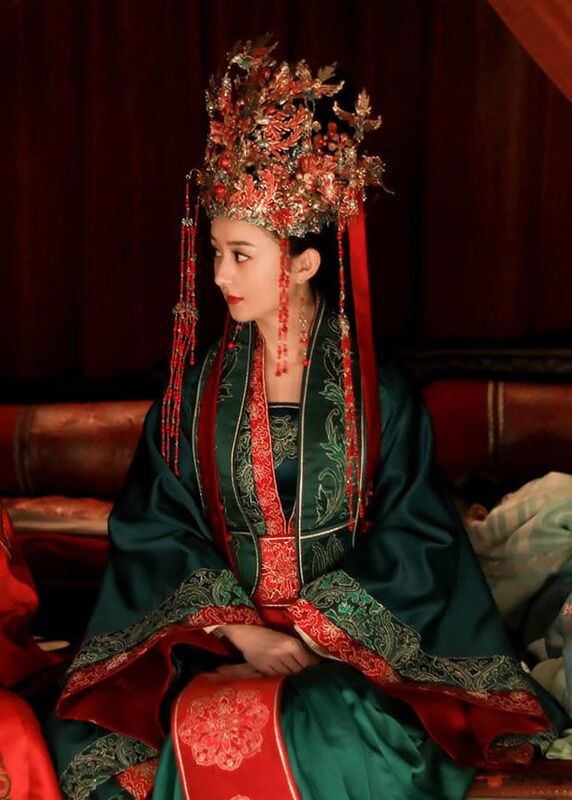 Fast forward to 16 years of age, Ming Lan is a modest young girl who gets caught between the petty arguments of her ambitious fourth sister (daughter of the concubine) and her petulant fifth sister (daughter of the main mother). 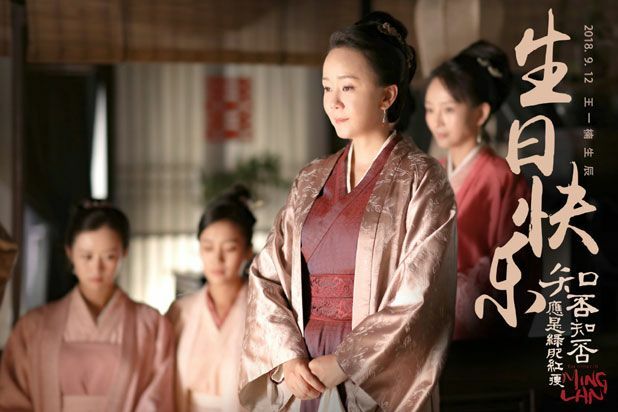 Having been taken in by her grandmother after her mother’s death, Ming Lan is protected against the power struggle between the two wives of her father. She attends a school along with her sisters and two brothers. Unbeknownst to her, Ming Lan catches the eye of another one of her male school mates, Qi Heng, the illustrious only son of a duke and princess. Far above her rank, their pairing would be against acceptable social norms, however, this young man makes continuous efforts to woo Ming Lan. Ming Lan is already closed off by nature by hiding her innate intelligence and opinionated judgements, but as first loves tend to do, she lowers her wall with the perseverance of this handsome boy. Agreeing to marry Qi Heng after he fights for his parents approval, Ming Lan is blindsided by the news that Qi Heng is getting married to another high born lady. Ming Lan is crushed and so are her views on the reliance of a marriage based on love. She chooses practicality over passion along with the insistence of her grandmother whom wants only peace for her granddaughter whose had a harder life than most. 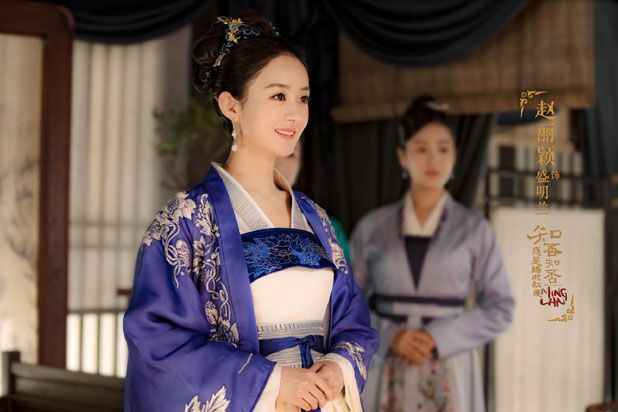 While her grandmother searches for a suitable husband for Ming Lan, Ming Lan is in contact with her biological aunt who has suspicions about the way Ming Lan’s mother died. Once all the facts of what happened eight years earlier come to light, Ming Lan devises a plan of revenge against Lin QinShuang. 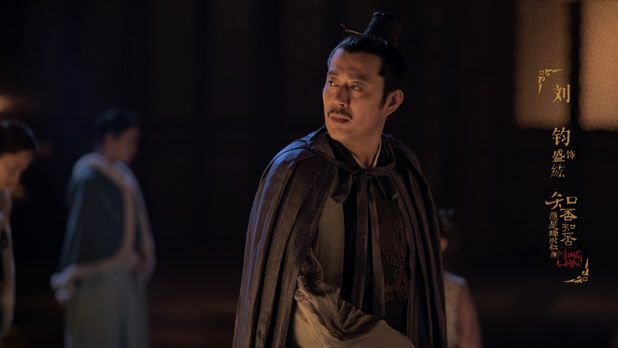 Gu Ting Ye has been present in Ming Lan’s life but never a constant presence until he becomes a fixture after saving her twice from a raided boat and bandits. 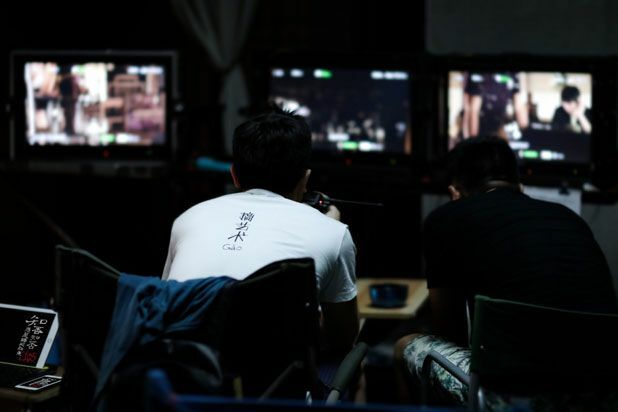 Ting Ye himself has survived a scheming step mother and a philandering reputation that has tainted his relationship with his father and his chances at passing the government exam. After a failed affair that resulted in a son and daughter, Ting Ye is left only with his daughter and the fear of a missing son. Ming Lan encourages him to improve his living conditions for his daughter. 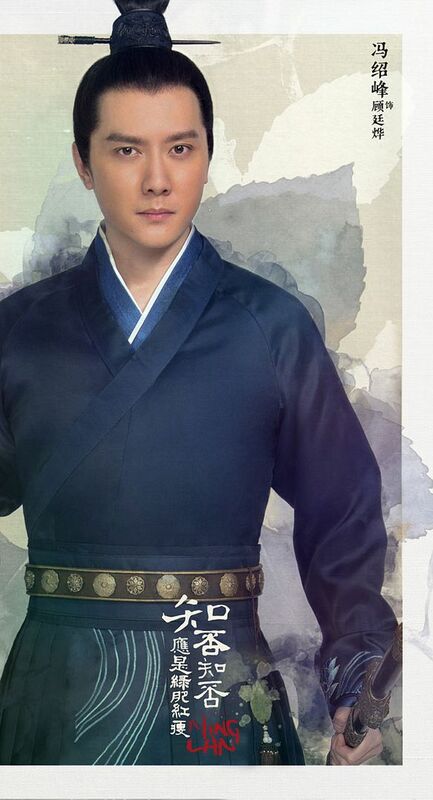 With his natural athletic ability and quick wit, Gu Ting Ye rises to a high rank in the military to an insignificant prince who later becomes emperor after saving the palace from a rebellion. As the new emperor’s most trusted man, Gu Ting Ye is now one of the richest men in the capital, still unmarried, and the head of his household. With his sights set on Ming Lan, Ting Ye ingeniously conceptualizes a plot to obtain Ming Lan’s hand in marriage against her very own wishes. Woo, now we are officially halfway through the show here. However, the best has yet to come. 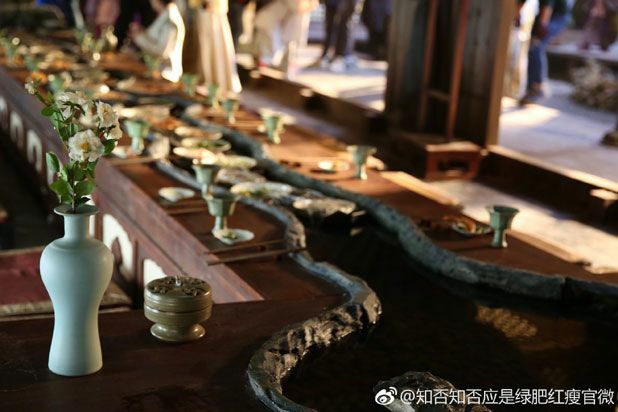 At the beginning of this marriage, Ming Lan must counter the evil acts of her selfish mother-in-law who attempts to invade their manor at any convenience to learn secrets she could use to take down Gu Ting Ye. On the other hand, the obnoxious sister of Ming Lan’s main mother is trying to use Ming Lan’s newfound status to find a noble occupation for her son. Ming Lan is attacked on all sides by the narrow-minded society women who blame her for being concubine born and her own family members who separate themselves from any type of scandal associated with her. Her grandmother is her only unwavering support. The stakes continue to heighten. 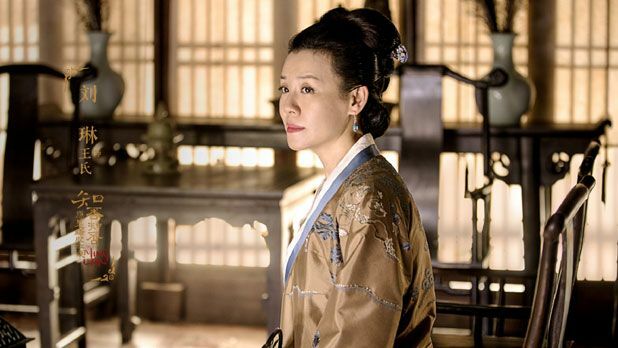 Ming Lan’s stepmother’s intentions become murderous, her evil aunt begins to scheme against Ming Lan’s innocent grandmother, and Gu Ting Ye’s duplicitous mistress comes back without his son in her hands. In the palace the Empress Dowager believes Ting Ye is the mastermind behind the stability of the new emperor which she wants to take down. Through all of this, Ming Lan and Ting Ye continue to squabble but stay united through the worst. These problems only make them grow closer. Ming Lan even becomes pregnant. Their happiness over the soon to be newborn is dashed when Ting Ye is accused of treachery against the emperor. He is sent out to war in which Ming Lan hears he dies on the battlefield. When the palace is hit with another rebellion, Ting Ye arrives to save the day once more and for the birth of his son. All is well in the Northern Song Dynasty once again, or for as long as Ming Lan and Ting Ye are around. Each main character in Ming Lan is as complicated as a three hundred page biography. Some backstories are presented as explanation while others are assumed. Personalities can be contracting, constantly evolving, or too stubborn to ever change at all. Some characters, for me, were hard to understand and I credit myself on trying to find sympathy for even to most twisted of villains. As the acting was concerned, I haven’t seen a cast more professional than this one in a long time, or maybe ever. Zhao YiLing is credited as one of the best actresses in China for a reason, she is as adaptable as a chameleon. Even though she portrays the same character from age 16 to years after, she seems to grow older as the show goes on. From her shy smiles at the beginning to her acting out the birth of a child while hanging on a white fabric dripping in sweat is as believable as the rain outside my window right now. Very few people can match the depth of the character of Ming Lan to the actual portrayal, and Zhao YiLing does just that. Ming Lan’s inner thoughts are never revealed unless voiced to her grandmother or personal maid, but the audience is touched by every clever spark in her eye or innocent smirk towards her ignorant sisters. We see the environment around Ming Lan greatly affect her survival instincts yet she continues to fight for justice for herself. She picks herself up after an insulting ending to a first love, the death of her mother at eight years of age, the oppressing gender roles of society, and multiple endangering situations. However, she’s no one woman show. What I love most about this character is watching her find the sincere connections in life that make existence the most meaningful. Ming Lan doesn’t shy away from true friendship and after going through life and death together, her and Gu Ting Ye are more than just two strangers bound by a red string. The only bothersome aspect of her personality is her cluelessness towards the romantic emotions Gu Ting Ye tries to express over and over. Multiple times I smacked my head at such a logical perspective taken on marriage in which you see it as a team of two working together to make peace. 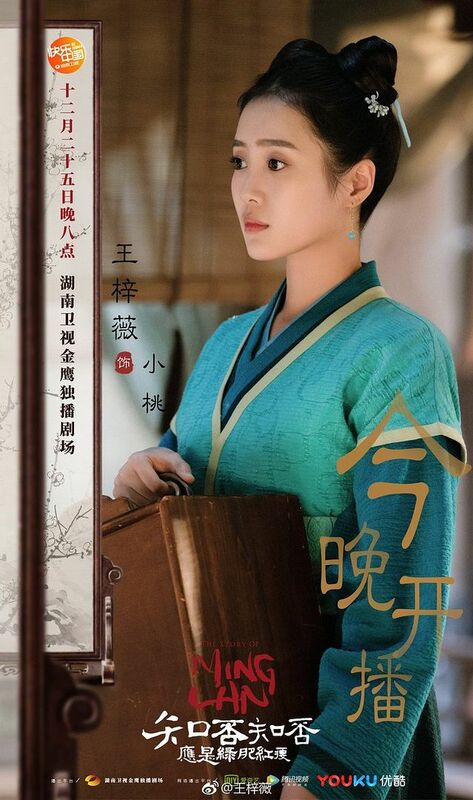 Practicality is hard to accept for me as such a romantic, but as Ming Lan has only seen men like her father and first love betray the trust of women or get betrayed in return, she protects herself from the painful side of emotions. This even made me look back at my own failed relationships and think, yeah…. I kind of did the same thing just not to such an extreme since my livlihood doesn’t depend on marriage. THANK YOU 21st CENTURY! I almost thought this show should have been called The Story of Ming Lan and Gu Ting Ye. His life is given almost as much screen time as Ming Lan’s. Since a young child, Gu Ting Ye has harbored the pain of losing a mother who isn’t even honored by her own family. His father physically abuses him and believes he is the cause of most of the problems of the household. His stepmother is revealed as the main antagonist behind all his troubles, especially when he becomes successful instead of his younger brother. Gu Ting Ye is independent as a result of self-reliance from a young age. He finds comfort in his friends around him, one being the older brother of Ming Lan. Holding onto the same friends for a lifetime is a rare feat, yet Gu Ting Ye remains loyal to all those he considers companions. You couldn’t find a more reliable man anywhere else, nor more talented. It goes the other way around though; have him as an enemy, and well, you better keep a knife under your bed at night. Feng ShaoFeng, now the real-life hubby of Zhao YiLing, is now only Gu Ting Ye to me. Its so hard because I don’t know if I will ever watch another drama of his because he did such a good job at this character I don’t want to ruin my image of Gu Ting Ye (I cry silently in my heart). His little side-eye glances at Ming Lan; his laugh that sounds adorably evil; his tears when he is bowed over the grave; his manipulation of his best friend for the hand of his younger sister. 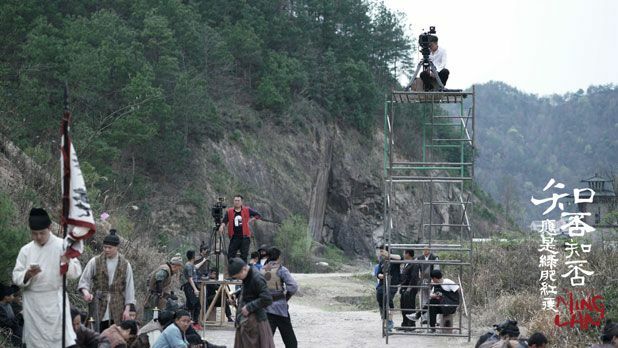 Feng ShaoFeng never once overacted nor stood like a statue, even in the background of scenes. And no matter how hard I tried, (I might be a biased heterosexual female), but I can’t find one complaint about this character besides the fact that he did almost leave his pregnant wife at death’s door twice, but that one I”ll address when talking about the plot. 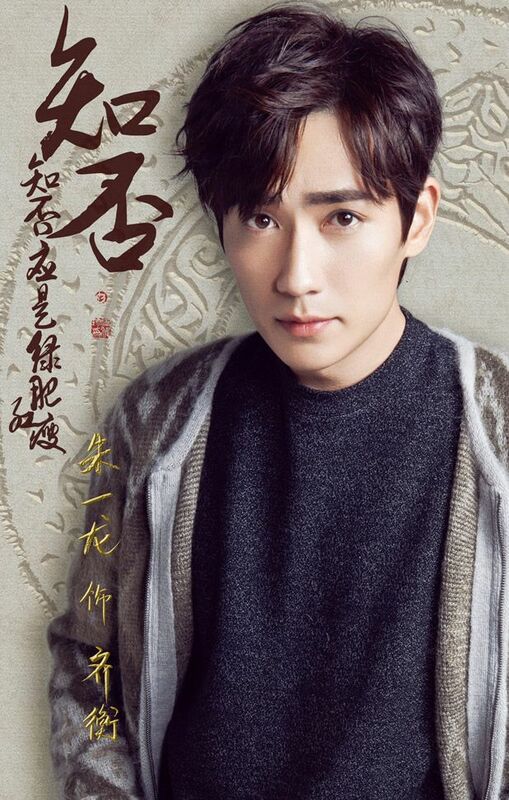 I have never seen Zhu YiLong in a drama before, but with his flower boy face and slender build, he fit the image of a well-intentioned boy fed with a golden spoon who is stuck between society and a hard place. Qi Heng, Ming Lan’s first love, is almost admirable in his determination to make the woman he loves his wife no matter if she is the daughter of a lower official and a concubine. 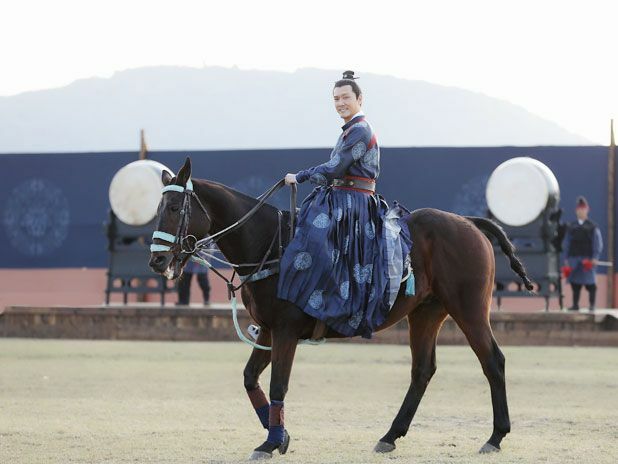 I even cheer him on when he makes his admiration public at a polo match, but knowing that Gu Ting Ye was coming into the picture, I slaved through 30 episodes until Ting Ye got his chance. Qi Heng is a character I neither hold much love for but no ill will towards either. He was a factor as a turning point in Ming Lan’s life, but what bugs me is that he cannot seem to accept the failure of their union. His unrequited love becomes almost an obsession that really brings out the lack of resilience of this character. I am all for crying it out and taking as much time as needed to find another path in life, but Qi Heng treated this failed love as a death in the family. His grief blinded him from what happiness he could of had with another woman at his side. Qi Heng is not stubborn in the sense of a narrow-minded judgmental person, though which allows a cordial relationship with Gu Ting Ye most of the time. He really is a sweet person who thinks the best of everyone, which is why he is easily manipulated by stronger opponents. He is an example that not all pampered people are the villains in these rags to riches stories, though most tend to be. He just takes a little longer to come to terms with the reality of the choices he makes. Cao CuiFen, please be my grandmother in another life. 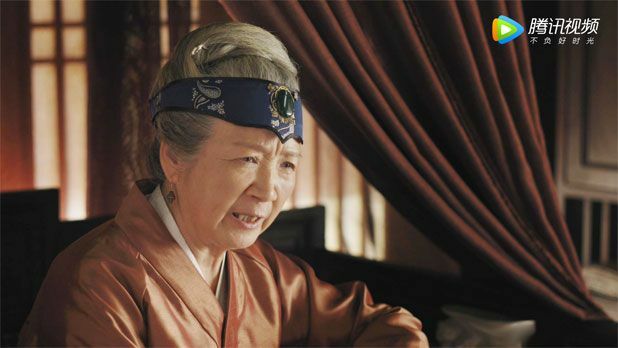 I don’t know much of this actress, but her portrayal of the matriarch of the Sheng Household with Marquis blood in her is that of only one who possesses the grace and sophistication of an older generation can do. Granny Sheng makes the first step in saving the life of a young Ming Lan who is neglected by her father and seen as a threat by her step-mothers. She teaches Ming Lan all she knows, and Granny Sheng is pretty knowledgable as any male during that period. She nurtures Ming Lan’s intelligence and strengths, yet encourages her to hide these traits so that she won’t stick out and be a target for those who are ambitious. The only part of Granny Sheng’s character that I found disconcerting was her steering of Ming Lan down a path of stability and peace. However, this is the modern female in me that doesn’t take into consideration the expectations of females during this time period along with the disadvantages of being born to a concubine. Granny truly thought she was doing what was best for Ming Lan, and when her choice for a husband proves himself to be manipulated by the women in his family, Granny Sheng is quick to shut down that option. Granny Sheng is the rock that Ming Lan leans on in times of sadness and anger, asks for in need of advice, and jokes with in times of teasing and jokes. Granny Sheng embodies the real meaning of family. With that stache and man bun, Liu Jun looked like the nerdy noble he is supposed to. No complaints about the acting here, now as the character himself, Sheng Hong is the epitome of a male designed from birth by the rules and expectation of society. Sheng Hong is an intelligent man in terms of being a scholar, but blinded when it comes to the duties a man has to his family. He leaves the running of the household to his favorable concubine which enrages his petulant main wife who feels excluded. Yet, when these dramatics surface in front of him, he would rather go read of book than deal with it face to face. His face is quite funny when he realizes that Ming Lan is not the quiet, modest mouse he always boasted she was. I really cannot blame this man for how he acts. He doesn’t have the emotional capacity to understand the women around him nor the strength to do what’s right over thousands of years of Chinese tradition of putting family before anything else. He tries his best, and that is all a daughter can ask for which Ming Lan acknowledges. She loves her father for all his flaws and misconceptions but she is not willing to turn a blind eye without confronting him about what she feels needs to be said. Sheng Hong makes my father who doesn’t listen to any music after the 21st century look like the most modern thinking man. Wang Ruo Fu, acted by Liu Lin who has the same last name as Liu Jun (are they married? ), is a character whom you love, then you hate, then you love, then you feel pity for, then you love and hate at the same time. She is as harmless as a mosquito which is not carrying malaria, but she is nonetheless a part of the big problem in the Sheng Household. Her constant battle with Lin QinShuang, the concubine, is a vainless effort since she is outsmarted most of the time. Her main goal in life is to have her children married to greater families than the children of her husband’s concubines. Her obsession with this whole legitimate children thing is quite annoying as it’s the only ammunition she has as being the main wife of Sheng Hong. She’s like a spoiled child who can’t handle the greater responsibilities of running a household or controlling her husband. However, Wang Ruo Fu is an ever changing character. That’s what I love about 80 episodes. It gives even supporting characters the chance to learn life lessons, make mistakes, or totally ruin their chances at happiness. Wang Ruo Fu is as human as her husband, a slave to the teachings and suppressions of the world around them. I truly feel for this character, especially when her backstory is revealed later in the show. She is not without pains in her life that have affected her decisions for her own children. Gao Lu is a beautiful woman. I don’t know how old she is, but she looks ten years younger than I would guess her character is. I loved watching her dramatic antics and various faces of manipulation. Gao Lu does an amazing acting as the character who uses her acting as a survival reflex as a concubine to a lower government official. From the start, the audience is introduced to Lin QinShuang as the concubine who schemes against those she feels are threats. The most obvious being Ming Lan’s mother. She is very easy to hate, the actress doing a good job of helping us along with that. The stereotypical jealous female I thought at the beginning, but then as the show progresses, Lin QinShuang is more than just a petty woman. An intelligent brain designed from an impoverished life to manipulate for her own desires is the mastermind behind most of the household’s problems. You’ve got to have some sort of respect for a woman like that. I’m not saying her harsh childhood as a slave sold is an excuse for her behavior, but I’m a big believer in our environments affecting who we are which is highlighted over and over again in this drama. This woman believes wealth and nobility equals happiness and so passes this belief onto her children who suffer from her teachings. In a society where the noble classes are rewarded with luxury and comfort, of course the poor would believe that they are all happy. It’s an illusion as old as time. Sadly, some as smart as Lin QinShuang fall for the reflection of the sparkling diamond as a mirror into greatness. Like mother like daughter. 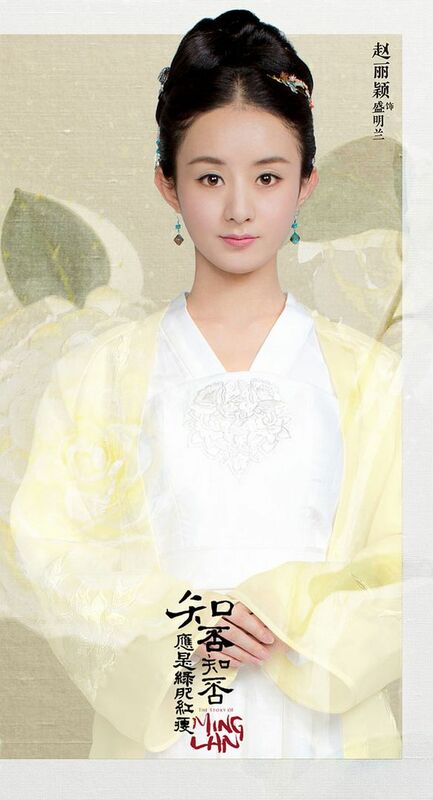 Sheng Mo Lan, the biological daughter of Lin QinShuang and Sheng Hong, is the fourth miss of the Sheng Household. This character is an example that karma exists, well at least in fictional Northern Song Dynasty. What goes around comes around. She isn’t as intelligent as her mother nor as strong as Ming Lan. Sheng Mo Lan is the most unfortunate of the children to me. She is unlikeable but pitiable. We see her under the influence of her mother her entire life which never lets her think for herself. She learns from a young age that she is at a disadvantage for being born to a concubine. Society only enforces this teaching. It’s a shame really, because she doesn’t back down until she truly loses everything. Shi Shi, what a pretty name :). She is a wonderful actress who doesn’t stand out but plays her role as well as I could have imagined for this character. She looks closer in age to her mother than she should in my opinion but I am no casting expert at all. Zhang Jianing, I don’t know who you are, but you played one of my favorite characters in this entire series. Your baby face framed by two pieces of hair looked perfect for a petulant teenager who has a habit of throwing fits but is as tender-hearted as she is foolish. Sheng Ru Lan is the result of her mother’s, Wang Rou Fu, influence and her father’s ignorance.At first and second and third and so on impression, Ru Lan is a foolish child who has no consideration for others. However, when you take another look, Ru Lan isn’t a mean person. She has no ill will towards others like the fourth child of the Sheng family. Also, Ru Lan’s tendency towards self-entitlement comes from the teachings of her mother that she is a legitimate child who deserves more than one of a concubine. Her evolution into a more mature person but yet retains the adorable innocence about herself is wonderful to watch. She becomes a true sister to Ming Lan which is what Ming Lan needed in that family. Sometimes it only takes one life change to humble someone and Ru Lan certainly learns fast, sometimes, well only that time, but she is still freaking cute. 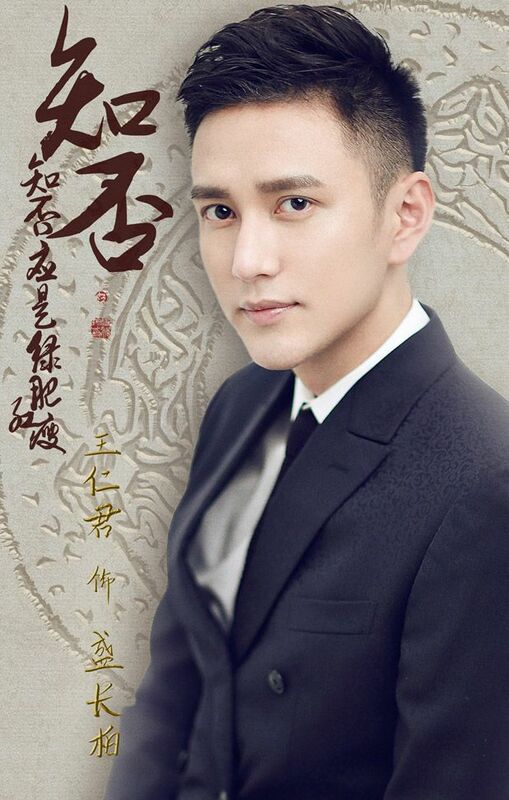 Wang Reng Jun in a man bun looks so much like Feng Shao Feng that when I first saw this drama, I had a hard time telling the difference between Chang Bai and Ting Ye. Side by side I thought I was drunk and seeing double. The acting here is as stellar as the rest of the family. Nothing stands out as unique but I think this is his character. Chang Bai the character is the older brother I wish I had. He is always considerate of all his sisters, especially Ming Lan and Ru Lan. He is filial to his mother and father, respectful to his grandmother, a great husband to his wife, and a wonderful father. 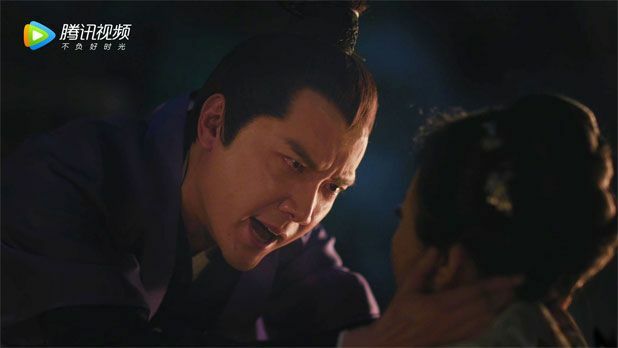 It was hard to find a weakness in this character since he just seems so normally normal, but stubborn seemed to fit the mold when Chang Bai refuses to back down in a situation in which there is a bigger picture that he fails to perceive. I find him an equal companion to Ting Ye as the brake to Ting Ye’s 200 miles per hour sports car. 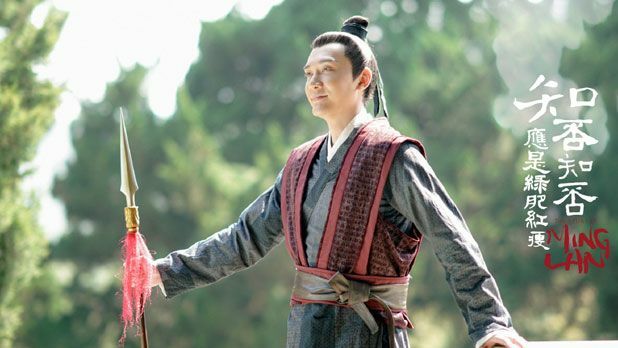 He gives balance to this show as a reliable man of the Sheng Household, a talented scholar to the government, and eternal friend to Gu Ting Ye. Everyone needs a sidekick or a personal maid they grew up with who becomes their best friend or best female companion. Xiao Tao is as such to Ming Lan. She literally is with Ming Lan through every trauma and happiness. She never questions what her master wants her to do but will do what she thinks is best for Ming Lan if her safety is ever questioned. This character is played by Wan Zi Wei who is a new and upcoming actress with great talent. Her sweetness and naive disposition is portrayed with expert mastery I can’t even imagine attempting to try. This character might seem simple but Wang Zi Wei is the one that makes it seem that way. I’ll definitely be watching her other dramas. 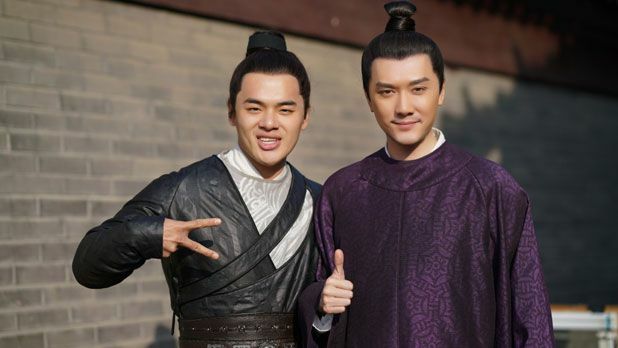 Shi Tou is the male version of Xiao Tao. With Gu Ting Ye through life and death both at home and on the battlefield, Shi Tou is the often under-appreciated supporting character that is not given enough credit for their role in staying true to the main character through thick and thin. Shi Tou is seen in most scenes with Gu Ting Ye but doesn’t have many lines but Shen Chi does such a wonderful job that I love this character almost as much as Gu Ting Ye and that is saying a lot. I would love to know more of a backstory around this character, however, I’m satisfied with knowing his future with Xiao Tao. Cutest couple award! 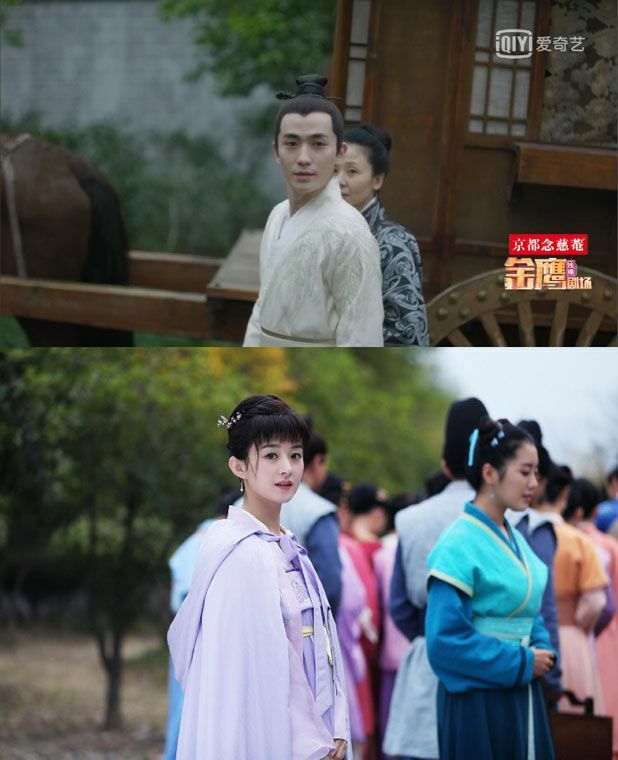 Lady Qin is a villain that begins to show her true colors later in the show when Gu Ting Ye becomes a threat to her younger son whom she wants to become the Marquis of NingYuan. She is the most intelligent enemy Ming Lan faces. She has kept a facade of a modest buddhist wife of a noble man to society, but behind the curtains, she hates almost everyone with a passion. Her patience is only rivaled by that of Ming Lan and Gu Ting Ye. I truly, with a burning passion, hate this character who never stops to accomplish her own desires. But only at the end, does the show give a glimpse into the pathetic life of this noble woman who turned to her own ambitions in replace of an empty love. She uses the excuse as a mother for doing the best for her child, yet her child doesn’t want to take down Gu Ting Ye for only a noble title. She really has no other purpose in life than being a mother and this is what she takes to an extreme since she is much too talented to be an obedient housewife. Wang Yi Nan truly wowed me with her performance. Again, a round of applause for the casting director. 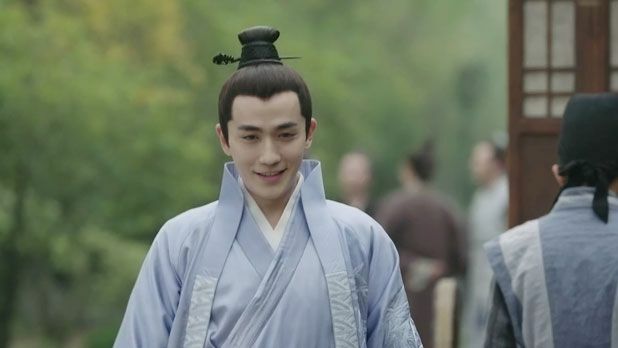 Wang Yi Nan even has a sweet face that helps characterize Lady Qin as an innocent step mother to the philandering Gu Ting Ye to society who doesn’t wish to see anything else. Li Yi Xiao should play a possessed ghost or person in a horror movie. She is great at being a bit maniacal then turning totally normal the next moment. She adds an edginess and desperation to this character that is needed to delve into a type of woman who would put her own desires over her the lives of her children. Zhu Manniang is a character that is very similar to Lin QinShuang, same skillset in controlling men with their seducing abilities, but she is not as fortunate to marry Gu Ting Ye. She shows that desperation can drive people to do things they wouldn’t normally do, but even sacrificing one’s own blood is something I could never forgive or even try to understand. Zhu Manniang is the villian in this story whom I felt was overused a bit too much. The only human part about her it seems is her evident love towards her son that becomes twisted with her malicious intent towards others. Beyond the actors, there is much more to a drama than the living aspect of it. The material covering the human body, the elaborative hair pieces, the blunt weaponry, and the accessories that can either dress up or dress down the character being portrayed. The stylists in this drama put a lot of thought into these mesmerizing costumes. The noble ladies were clothed in different designs and patterns. The men were put into silk robes fit to their station. The servants were lined in uniformed clothing as servants would back them for they are insignificant in the eyes of their masters. Only the personal maids like Xiao Tao or Danju are given more items of clothing to choose from. As embracing the characterization of Ming Lan, I loved the symbolism in the styling of the character. 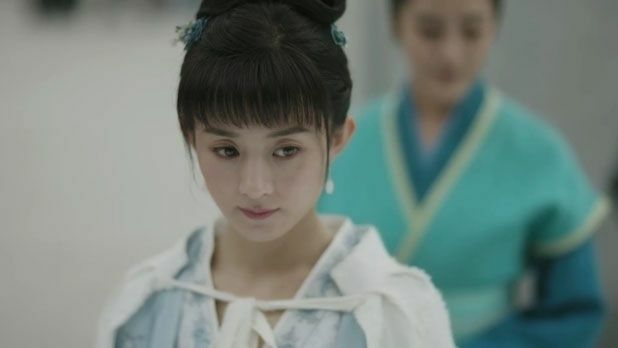 In the beginning episodes, Ming Lan is dressed in paler color of pink or white to represent the innocence of her youthful days before her first love or marriage. The inclusion of the bangs by the hair artists was a great touch in enhancing the youth of the character who is supposed to be a teenager. When Ming Lan gets married to Ting Ye, she loses to bangs and takes on a more sophisticated hairstyle that befits one of a general’s wife. She also is put in bolder colors such as dark blue, green, or pink that represents her transition into adulthood. Her problems only become greater as her marriage progresses. My favorite costume in the entire show was the wedding scene. Red is such a beautiful color to behold, on any skin color, and Ming Lan is just drowning in this color on her wedding day. Both her and Ting Ye represent every theme of the color in every culture as their marriage encompasses love, fertility, struggle, blood, fortune, danger, hope, and heroism. I know that many clothes in ancient times ignored practicality for the greater affect of wealth and exuberance, but it’s a beauty to behold. 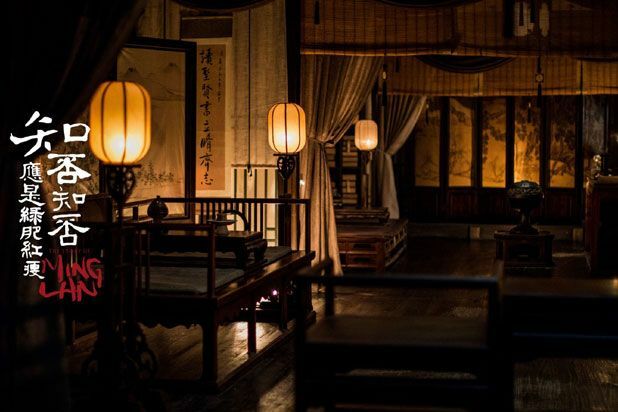 Most of the scenes take place in the noble houses of Sheng and Gu, but the audience also gets to witness the splendor of the palace and the poor work conditions of the working class. 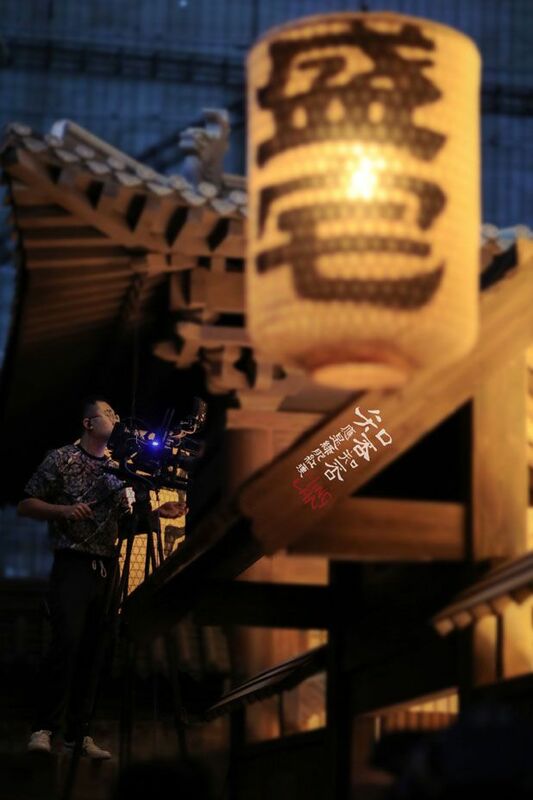 The set crew of The Story of Ming Lan used candles as lighting because that was the only source of light back in the Northern Song Dynasty. I loved learning the massive size of the noble houses, each wife or concubine getting their own pavilion. The work put into the day to day rustics of the household was also shown from the coal portioned for warmth for each section of the house to the upkeep of the financials. I’m no expert on camera angling or sequencing, but this show had no issues in that category as far as I’m concerned. I found the shots from within each house, garden, temple, or palace was beautiful. I usually go by common sense in terms of the order of the shots. Each scene flowed beautifully into the next without abrupt interruption. The only complaint I would make is the shooting on the polo field. 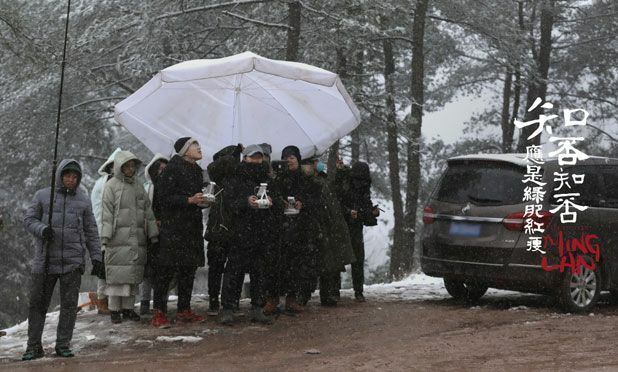 Most of the shots were wonderful and I kept thinking how they could do that, but the parts where the faces of Ming Lan or Ting Ye were shown was kind of obvious that they were shot on a moving machine with a green screen behind them. I might be getting a little too picky since everything else spoiled me too much in the realism and the grandeur. I’ve always been fascinated by what happens behind the screen and sometimes I don’t want to know a thing because it might ruin the story for me to see a the real life persona of the actors. 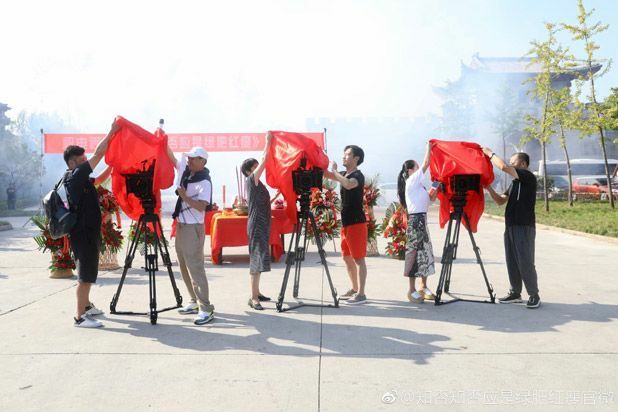 However, I am amazed by every crew member behind the scenes of this show who made this possible for its millions of fans with the level they set for such a historical drama in china. With 80 episodes, there is bound to be a plot concept or character development that dissatisfies some of the audience. There was nothing too specific for me in particular, but I will name a few things I think needed improvement. The first thing I had a problem with was the constant antagonism towards Ming Lan and Gu Ting Ye. It felt like this couple never got a break. From a conniving step-mother, a psychotic aunt, a jealous half-sister, an arrogant queen dowager, a judgmental father, and a manipulative baby mama, the drama surely never subsided in the latter half of this drama. Ming Lan and Ting Ye never even offended most of these people on purpose, but for their own personal gains or issues, these people target Ting Ye and Ming Lan as threats to their existence. It became monotonous after a while. I believe the writers could have introduced a wider variety of obstacles for the main couple. Another was the stubborn foolishness of Qi Hong, Ming Lan’s first love. By the time she was already proposed to by Ting Ye, it was hard to tell if he was still hung up on Ming Lan herself or the failure in grasping the opportunity to wed her. He just wouldn’t let go even after she made herself clear that she is already married, and the past is over and done with. He never realizes he was in love with the innocent illusion she presented to others when she was younger. He also hurts his second wife until close to the end with his grief over a lost love that never blossomed into more than a few flowery words and empty promises. Thank god he comes to his senses in the end. I find the ending duplicity of Ting Ye and the emperor questionable. For how much Ting Ye loved Ming Lan, he put her in the face of death almost twice by not telling her what the plan was to trick the Queen dowager. Also, the emperor’s concubine and her rebel forces murdered plenty of civilians before the emperor revealed that he knew about her traitorous intentions all along. Could he really not find another way to arrest the concubine without sacrificing the lives of his people? Ming Lan thought her husband was imprisoned by the emperor, dead on the battle field, and almost got a sword to her back if Ting Ye didn’t come back in time. But that is what these shows are best at, waiting until the last moment for the heroic act you never saw coming no matter how unrealistic it seems. After 80 episodes, I stopped listening to the theme song at the beginning and end, but how wonderful it was. I love traditional Chinese music with its soft subtle notes that seem to echo the sounds of nature itself. When I get the english translation of the lyrics, chinese music also is so poetic in its uses of metaphors that describe the greater philosophies of life and love. The Story of Ming Lan is more than an entertaining watch. 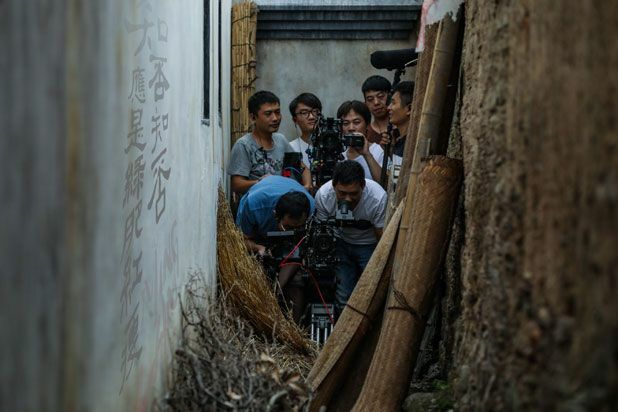 Without the obvious cliches of romance dramas, Ming Lan separates itself from most dramas stuck in the same genre. It is as much an accurate portrayal of history as it is a coming of age drama, a family soap opera, or a political thriller. The acting is superb, the setting and camera work beatuifully done, and for such a long drama, the pace was kept at a moderate to fast speed the entire time. Getting past the first few episodes is important for characterization of the Sheng Family and Gu Ting Ye. It begins to speed up around episode four in which the audience is introduced the Zhao YiLing as Ming Lang. It was a pleasure to watch a troubled young woman rise from the ashes of her childhood and society position into something of her own making. I related to her hopes of falling in love for the first time as the bubbly emotions can blind us to the reality of being young and optimistic. I cried for Ming Lan just as much as I laughed at her teasing with Granny Sheng and love of fish. Gu Ting Ye was like no other male lead I had ever seen. The balance of his childish tendencies and his mature intelligence made for a lethal combination both for his enemies and us innocent female hearts in the real world. Both of these characters didn’t set out to be the odd ones out in a narrow-minded society, but their personalities and abilities set them on a path in which they had to fight harder for a peaceful life than most. Yet, they stay humble, most of the time. Gu Ting Ye can be a little arrogant, but its totally forgiven whenever he kisses Ming Lan. While watching this show on viki, I constantly commented on each episode far more than I ever did on any other show because this show left me feeling one way at the beginning of the episode and a whole other way at the end. I had far more questions than answers. I also loved debating scenes and situations with other watchers. People helped me understand the role of women in that society because I had a problem with all these women protecting their children for their misdeeds. But it’s more than just maternal love, in ancient chinese culture, family comes before anything. Reputation is also part of the entire family vision. One accomplished child is seen as the savior of the family for the next few generations. It’s so very different from the capitalistic American world I live in. I love the culture shock with every asian show I watch and this one is one of the most incredible one’s i’ve ever experienced. I recommend this drama to anyone whether you’ve been an asian drama watcher for years or are just beginning your journey into a world you will never escape. I hope you love this as much as I did! I hope this review is any helpful. 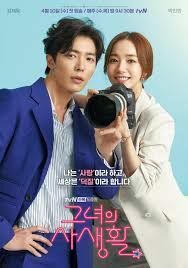 I would love to hear your thoughts on this drama!